Maynard, MA – Sonare Winds is pleased to announce that New York City jazz flutist and composer, Anne Drummond, is now endorsing Sonare flutes. Professional musicians around the world perform with and endorse products under the Sonare Winds umbrella, which includes Sonare flutes and trumpets, Keilwerth saxophones and York Brass. Anne Drummond’s debut record “Like Water” is due to be released by Obliqsound records in May ’09 and features her original compositions played by a Brazilian rhythm section and strings. Her group performs at festivals abroad and plays regularly in New York clubs. Anne spends much of her time composing and in 2008 she wrote the score for a national television commercial for T-mobile. Drummond has repeatedly been named a Rising Star in Downbeat Magazine’s Critics Poll. Upcoming appearances include the Lionel Hampton Jazz Festival (with Kenny Barron) Feb 26 and 27 in Moscow, Idaho, the Kennedy Center in Washington DC on May 16, and at the National Flute Association Convention on August 14 in New York City. Seattle bred Anne Drummond transforms the flute’s sound and contemporizes its style with a fresh artistic outlook. In 1999, Drummond moved to New York to study piano with Kenny Barron at the Manhattan School of Music. At one of her practice sessions with Barron, Anne brought along her flute and, unaware that she was fluent on the instrument, Barron asked her to play. He was immediately impressed and soon after asked her to join his group Canta Brasil. By the time Anne graduated from the conservatory in 2003, she had become established on the jazz circuit touring the US and Europe with Canta Brasil with whom she had recorded Barron’s CD, “Canta Brasil” (Sunnyside, 2002). She went on to record two more records with Barron: “Images” (Universal France, 2004), and a score for the film “Another Harvest Moon”. In 2007 Drummond performed on a world tour with the indie rock band Bright Eyes. 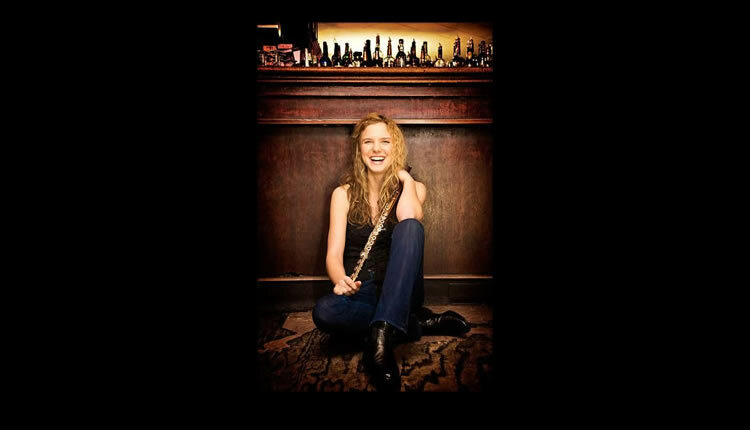 Playing alto flute and providing backup vocals, she made TV appearances on David Letterman and Craig Ferguson. Well known as a teacher, Anne travels giving master classes and adjudicating competitions, in addition to teaching privately from her East Village studio in NYC. She has been adjunct faculty at the New School for Social Research throughout ’07 and ’08 and has coached at Manhattan School of Music. Whether leading her quintet or performing alongside pianist Kenny Barron, vibraphonist Stefon Harris or bassist Avishai Cohen, Anne is an original voice both lyrical and powerful, subtle yet driving. Sonare Winds, a division of Verne Q. Powell Flutes, provides exceptional acoustical performance and value by partnering with world renowned instrument makers including Powell flutes, Blackburn trumpets and Schreiber – Keilwerth. Sonare manufactures flutes and trumpets and serves as the North American distributor for Keilwerth saxophones, and York Brass instruments.